A car without anti lock brakes is vulnerable to uncontrolled skidding when braking, due to the risk of wheels locking up. The ABS system uses speed sensors to detect rapid decelerations, then controls the brakes through a series of valves positioned on the brake lines. The ABS uses a pump for restoring pressure to the brakes. The system is run by a control unit that processes the data from the sensors and controls the valves and the pump. Manufacturers continue to upgrade and improve anti-lock systems for faster reaction times and greater sensitivity. To find out details about your car’s system, visit Meineke #2364 in Napa, CA. 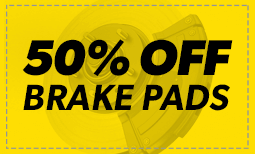 Brakes are the most important safety feature on your car. While people sometimes procrastinate on repairs, a problem with your brakes means that you should stop driving your car and get it checked right away. A crucial part of keeping your brakes in good working order is using the right brake fluid and replacing it on time. There are several types of fluid, including silicone brake fluid and mineral brake fluid. Failing to replace brake fluid on time can cause it to absorb a high percentage of water and compromise your brakes’ function. To get an estimate of brake fluid cost for your car, speak with technicians at Meineke #2364 in Napa, CA. Most ABS systems have multiple sensors built into the system to alert you when the brakes need service. A light on the dashboard might illuminate or you may feel that it takes more effort to press the pedal when braking. Another sign of ABS brake failure is that the brakes lock up while heavy braking. You may hear random clicking noises or feel your brakes trying to pump themselves. This is an indication that something is not working properly. For ABS brake service, bring your car to Meineke #2364 in Napa, CA for quick and convenient repairs and maintenance by our professional technicians. It might seem strange that your regular brakes work properly even though the ABS brake light is on. This is no reason to ignore the light, because the anti-lock brakes prevent hydroplaning or skidding in adverse weather conditions. The ABS brakes give you more traction when you’re on a slick surface. The new technology of braking gives you even more control over your car, even if you start to slide. Bring your vehicle to Meineke #2364 in Napa, CA for ABS brake service to keep you and your passengers safe under any type of driving conditions. 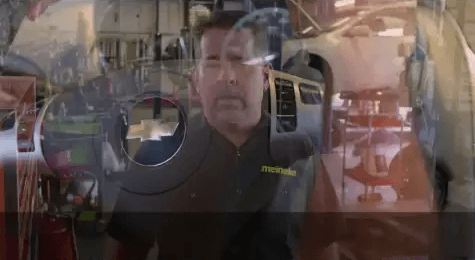 If you are accustomed to bringing your vehicle in to Meineke #2364 in Napa, CA, for routine inspection of your anti-lock brakes, you already know that this represents big cost savings. You might need a minor part or some brake fluid added to the system, and this kind of service can be done quickly and inexpensively. If, however, you have worn brake pads, replacement will be required and you should have that done as soon as possible. Brakes of any kind are designed to wear out, and brake pads are only one component that might need replacing. We will assess any brake problems you’re having and recommend the most appropriate solution. Keeping your brake system in good order and replacing it as necessary is one of the most important car safety precautions you can take. For this reason, it is essential to have an experienced car professional to rely on. From knowing where to buy brake fluid that is right for your system to resources for ABS brake service, your service center helps you to keep your brakes in top condition. Visit in Napa, to learn more about brake replacement and maintenance.